Since I saw what had to be Randy Schlitter's first appearance at Sun 'n Fun, and since he is celebrating the 35th anniversary of the first flight of his S3 single-place Coyote I …well, we've been in this game for a good amount of time. And a "good time" is exactly what it has been. The videos (linked and below) capture the company and airplane story and I believe it is best to tell the Rans and Coyote story in this way. Nonetheless, since I've had the pleasure to fly nearly all Rans designs over the years, I want to say that I am pleased this company and its one-of-a-kind owner have continued to pursue light aviation. In Randy's own words from his Facebook page (where he is quite prolific), "This Saturday (March 17, 2018) is the 35th anniversary of the first flight of the Rans Coyote I ultralight. This craft launched Rans into the world of kit and certified planes." He continued about the Coyote S-3, "I still fly ole number 1 and it humbles me to do so. In fact … we posted a video showing off this old bird. It flies better today than back in '83," Randy finished. "Enjoy." The modern Coyote Rans is selling today after three and a half decades. Since I saw what had to be Randy Schlitter’s first appearance at Sun ‘n Fun, and since he is celebrating the 35th anniversary of the first flight of his S3 single-place Coyote I …well, we’ve been in this game for a good amount of time. And a “good time” is exactly what it has been. The videos (linked and below) capture the company and airplane story and I believe it is best to tell the Rans and Coyote story in this way. Nonetheless, since I’ve had the pleasure to fly nearly all Rans designs over the years, I want to say that I am pleased this company and its one-of-a-kind owner have continued to pursue light aviation. In Randy’s own words from his Facebook page (where he is quite prolific), “This Saturday (March 17, 2018) is the 35th anniversary of the first flight of the Rans Coyote I ultralight. This craft launched Rans into the world of kit and certified planes.” He continued about the Coyote S-3, “I still fly ole number 1 and it humbles me to do so. 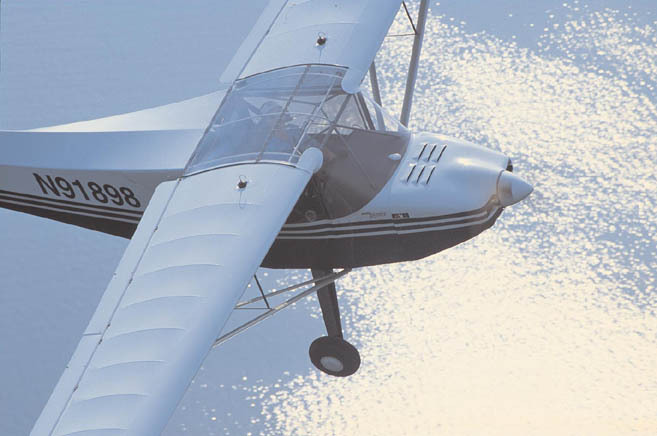 The S-6 is one of the best-proven and most familiar airplanes among all SLSA and it comes from one of the very top American kit producers, Rans, Inc. Available as a kit or ready-to-fly, the S-6LS is also highly affordable starting at $63,000 reasonably well equipped. A kit starts at $20,000 so Rans can offer something for almost everyone. all photos courtesy Rans, Inc.
With my good friends over at General Aviation News, I recently published an article about Light-Sport Aircraft available for less than $96,000. While that is still a good chunk of change, it is far less than the top-tier LSA that can run $150,000 to more than $200,000. Yet brand-new, fully-built LSA don't have to be so costly. You can read the article at this link.• The four aircraft I picked for my article are not the only well-priced choices in the Special LSA world. They happened to be four airplanes I had flown recently but I did mention at the end that buyers have even more choices in SLSA that were good values, some down below $50,000 ... although those choices will not be carbon fiber speedsters with full glass panels and autopilots. Keep this in mind: When the SP/LSA regulation first came out in 2004, plenty of potential buyers expected prices in the $50,000 to 60,000 range. Of course, those numbers never included dual screen digital instruments, autopilots, airframe parachutes, leather interiors, or state-of-the-art, fuel-injected engines. Even so, given the effects of inflation, $60,000 in 2004 is the same value as $76,000 in late 2015. Therefore, some of my choices in the article referenced above do indeed sell for the price once expected. "I saw a great article by you about SLSA planes [available for] well under $100,000," wrote Rans CEO, Randy Schlitter. "I would like to let you know we now have a nice plane on the market for only $79,000. It is our venerable S-6ES [the kit version] called the S-6ELS [the fully built version]." "If you check out our specifications and price list, you will find it comes with a very nice panel and the very reliable 80 horsepower Rotax," Randy added. "Many pilots are fans of the S-6 Coyote II and for this price in ready-to-fly form it rivals the amount of dollars kit builders are spending for parts in a box." "S-6ELS also has one of the highest payloads LSA on the market," he added. Indeed, based on a full fuel load of 18 gallons, S-6ELS has a 537 pound allowance for people and luggage, enough for 30 pounds of gear and two 253 pound occupants. "We are currently building the 2016 version" Randy continued. "It now includes an updated interior, similar to the S-20LS, and we have dropped the sailcloth laced-up covering for conventional dope and fabric." 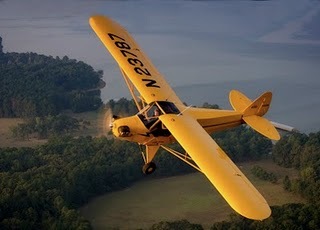 He also noted that S-6ELS is available in tricycle gear or as a tailwheel plane. Click this link to see a PDF page showing all specifications for the S-6. How well equipped is a $79,000 S-6ELS? Rans says their base price is for a "deluxe analog day VFR" aircraft with radio, intercom, GPS, transponder, three-inch airspeed indicator, altimeter, vertical speed indicator, compass, ELT, and the 80 horsepower Rotax 912UL engine with two-blade Warp Drive prop. For many buyers that could be all you need and would allow you to fly cross country with ease. However, many pilots like to personalize their airplane or want more goodies, so pick from the following: Lighting Package — $2,500 ...includes nav, strobe, position, instrument and taxi/landing lights Canopy Cover — $500 Tru-Trak auto pilot (only available with analog panel) — $5,000 ADS-B — $900 Passenger elevator trim — $500 Headrests — $200 Gear leg fairings — $800 Aft baggage (30-pound capacity) — $1,000 Taildragger, including gear leg fairings and 6X800 tires, with 8-inch tailwheel — $2,000 Canopy cover — $500 Rotax 912ULS (100 horsepower) with 3-blade Whirl Wind prop — $3,500 Those of you know or have talked to Randy at an airshow might imagine the friendly grin on his face when he added, "We are hoping to be a leader in value and are planning even more exciting combinations of price-busting planes for the LSA market from both existing and designs under development." Years ago, Randy used to show up at every Sun 'n Fun event with a new model, earning him such fawning comments as "airplane-of-the-month-club designer." A prolific creator of more than 20 distinct aircraft — while simultaneously operating a bicycle manufacturing business (since sold) — Schlitter remains an essential person to watch. With more than 4,000 aircraft in the Rans fleet in countries around the world, Rans is one of America's leading producers of both kit aircraft and ready-to-fly models. • While the GA News editor since corrected the article in its online form (sign up for free), I originally wrote the Aeroprakt A-22 sold for $88,500. That was information from a previous distributor and the new representative Dennis Long clarified that the current base price is $68,500, or about $80,000 with a good number of options. With my good friends over at General Aviation News, I recently published an article about Light-Sport Aircraft available for less than $96,000. While that is still a good chunk of change, it is far less than the top-tier LSA that can run $150,000 to more than $200,000. Yet brand-new, fully-built LSA don’t have to be so costly. You can read the article at this link.• The four aircraft I picked for my article are not the only well-priced choices in the Special LSA world. They happened to be four airplanes I had flown recently but I did mention at the end that buyers have even more choices in SLSA that were good values, some down below $50,000 … although those choices will not be carbon fiber speedsters with full glass panels and autopilots. Keep this in mind: When the SP/LSA regulation first came out in 2004, plenty of potential buyers expected prices in the $50,000 to 60,000 range. Rans Aircraft in the News … Twice! After losing the trim tab on the elevator of his Rans S-6, John Pederson of Lombard, Illinois grappled with a violent shaking and executed an emergency landing on Chicago’s Lake Shore Drive. He was flying very early so traffic on the multi-lane route was light. Pederson reported timing his landing to avoid any traffic, though local sources reported the airplane was struck by two autos both of which sped away afterward. Unable to regain stability, the 51-year-old electrician radioed a mayday to O’Hare International Airport and then set up for landing. A recording of the radio call revealed John behaving calmly and, indeed, no one was injured in the highly-publicized incident. “At the time of the mayday call, about 6 a.m., he was flying about 1,900 feet above [Chicago’s downtown] Millennium Park, he said,” according to a report on the Chicago Tribune‘s online website. The good news is no one was injured and while media reports poked fun at Pederson’s very visible downtown Chicago landing, the report can nonetheless be viewed more or less positively. I had some fun today talking with Jim Sweeney, guest host of Roy Beisswenger's Ultraflight Radio Show. *** Our first topic was the state of the LSA industry. I first picked my pal Dan Johnson's satellite-view brain of the LSA Big Picture to glean we're looking at an industry that is weathering the economic storm and ready for an upswing. *** Once the economy really ramps up, many observers feel LSA, which remain an incredible bargain compared to new GA airplanes, should pick up smartly. Let's toast that happy day! *** Meanwhile, Tom Peghiny of Flight Design USA tells me sales are picking up, particularly from his dealer network who are selling their inventory aircraft and ordering replacements. *** We'll post fresh market stats from Jan Fridrich after Oshkosh AirVenture on FAA registrations through mid-year but in general it's good to remember that companies are doing whatever it takes to survive in this prevailing market psychology of uncertainty. *** Some details: * Flight Design, (still #1 U.S. seller), Jabiru and American Legend lowered prices, created "economy" models or both, to stay competitive. * Flight Design has the CTLS Lite at around a $20,000 lower price, Jabiru dropped it's high winger by a like amount, and American Legend came out with its Classic J3, Continental O-200-powered model at $94,895. * Companies like Rans Aircraft and American Legend among others enhance their market appeal by selling both kits and ready-to-fly airplanes. Rans in particular has thrived for more than 25 years with this strategy and is still going strong. *** So although, as Dan says, the industry is still in a "bit of a funk", companies are finding ways to hang in there. *** As for the much-ballyhooed, yet-to-occur "shakeout" of the 77 companies producing ASTM-certified LSA aircraft since the beginning several years ago, a grand total of five have shut their doors or are up for sale. That's rather amazing. *** New airplanes continue to debut too: *** Two TL-3000 Sirius from SportairUSA (my flight report will be out in Nov. or Dec. Plane & Pilot) will deliver this month, and another right after Oshkosh, according to Sportair's Larry Martin. 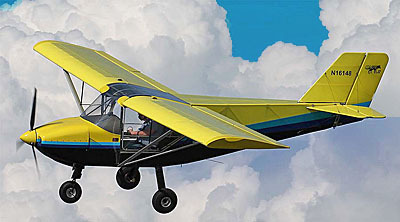 *** Cubs still rule: Nearly 33% of all LSA sales are Piper Cub clones, says Dan. 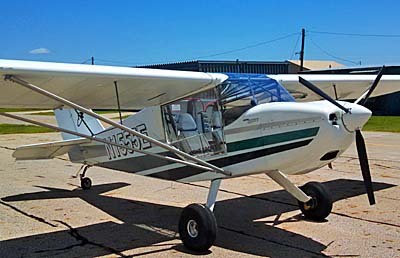 *** We thought of at least two good reasons: Light Sport flying is a recreational experience after all, and what speaks to simple, fun flying better than a Cub? (I'm getting time locally in a 1946 version myself, and having a blast.) *** Then there's the 75 years of trustworthy (and FAA certified) safe Cub operation. Older pilots inclined to still look askance at this brave new world of ASTM industry self-certification might believe their safest flying remains with the old-school, truly wonderful Cubbie. *** Positive signs for all you LSA-curious AirVenture visitors this year: Dan Johnson's LSA Mall should be full again. What a great way to compare your dream planes side by side. *** One last note: there are around 2000 LSA out there now. That's beginning to help companies stay afloat by providing parts and service to those airplanes. Flight Design alone has more than half a million parts on hand to do the job right. Engine overhauls, brake maintenance, and other services all help bring in revenue for those makers in it for the long haul. *** So let's keep our chins up by remembering that, with more than 100 LSA models to choose, there's enough variety and a broad enough price range to suit just about anybody looking for a way to do fun flying. *** My case is a perfect example: I can't afford to buy an LSA outright... so I'm renting one at $50/hour wet! Hard to say no to that deal, eh? *** So even if renting is the way you have to go for now, or shared ownership, or joining a club, there's no reason you can't find an LSA to help you get 'er done at a reasonable tariff. I had some fun today talking with Jim Sweeney, guest host of Roy Beisswenger’s Ultraflight Radio Show. *** Our first topic was the state of the LSA industry. I first picked my pal Dan Johnson’s satellite-view brain of the LSA Big Picture to glean we’re looking at an industry that is weathering the economic storm and ready for an upswing. *** Once the economy really ramps up, many observers feel LSA, which remain an incredible bargain compared to new GA airplanes, should pick up smartly. Let’s toast that happy day! *** Meanwhile, Tom Peghiny of Flight Design USA tells me sales are picking up, particularly from his dealer network who are selling their inventory aircraft and ordering replacements. *** We’ll post fresh market stats from Jan Fridrich after Oshkosh AirVenture on FAA registrations through mid-year but in general it’s good to remember that companies are doing whatever it takes to survive in this prevailing market psychology of uncertainty. Rans Aircraft seems determined to reverse the trend in ever-higher SLSA prices with a new package for its long-popular (2000 flying worldwide), constantly refined bird: the S-6ELS Coyote II. *** The 26 year old Kansas company, highly successful purveyors of more than 4,500 kit and ready-to-fly aircraft (and a thriving bicycle builder as well) offers the turnkey Coyote II for $63,000. *** That's half or less what many Euro-built SLSA are priced at. *** But the side-by-side two-seater is no mile-mannered local-patch ultralight: cruise with the 80hp Rotax 912 (100 hp power package also available) is 105 mph, with a 950 fpm climb and 41 mph stall. Landing Rollout is a scant 260 ft. *** The Coyote comes with a steam gauge (round analog dial) panel and you can have it in tricycle or taildragger gear flavors. *** Step up a few large, and you can buy the deluxe version for $69,995. That bumps you into a 100-hp Rotax 912S with a 3-blade prop, intercom and Icom radio, cabin heat and dual hydraulic brakes and larger tires to go with it. *** Lots more info here. (ck all the links on the green-type menu bar) *** A final note: I hope to take a very long XC flight with the Coyote this winter. Randy Schlitter, (founder and head honcho of Rans) says it's heater is "a good one!" Sure hope so...I'll post a full report on the trip. Rans Aircraft seems determined to reverse the trend in ever-higher SLSA prices with a new package for its long-popular (2000 flying worldwide), constantly refined bird: the S-6ELS Coyote II. 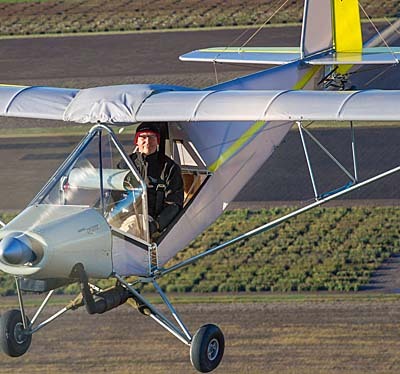 *** The 26 year old Kansas company, highly successful purveyors of more than 4,500 kit and ready-to-fly aircraft (and a thriving bicycle builder as well) offers the turnkey Coyote II for $63,000. *** That’s half or less what many Euro-built SLSA are priced at. *** But the side-by-side two-seater is no mile-mannered local-patch ultralight: cruise with the 80hp Rotax 912 (100 hp power package also available) is 105 mph, with a 950 fpm climb and 41 mph stall. Landing Rollout is a scant 260 ft. *** The Coyote comes with a steam gauge (round analog dial) panel and you can have it in tricycle or taildragger gear flavors. *** Step up a few large, and you can buy the deluxe version for $69,995. 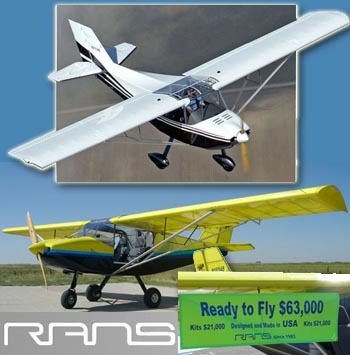 Simplicity Priced Right -- The RANS S-6ELS offers a Made In The USA product you already know and trust for a price many of us can afford (certainly with financing from AirFleet or others). I see no reason you can't be flying high in 2010. Check out my new pilot report in the January 2010 Light Sport and Ultralight Flying magazine. Much lamenting has been heard regarding the price of Light-Sport Aircraft. It isn't hard to understand given prices that now exceed $140,000. Was such inflation supposed to happen? I've explained how this occurred, and the biggest culprit, by far, is the exchange rate difference between dollars and euros. (Other factors include the time value of money and the desire by many buyers to have high-end instrument panels and features.) *** For a time, we thought the low costs of labor in Eastern European countries would overwhelm Yankee producers... and for a time they did. However, RANS -- one of America's most successful kit suppliers (more than 4,000 delivered!) -- is offering the S-6ELS at only $63,000. This equates to only $53,500 in 2004 dollars when the new rule came out, which was about the cost of a Flight Design CT at that time. 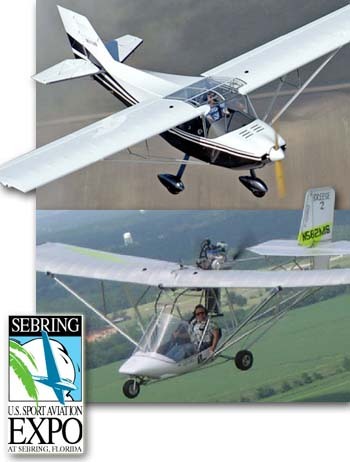 *** The S-6ELS comes with the 80hp Rotax 912 and a decent analog panel in either trigear or taildragger configurations. For those many who want more power and more panel goodies, a "deluxe" version can be bought for $69,995 and includes the 100-hp Rotax 912S with 3-blade prop, Icom radio, intercom, cabin heat, bigger tires, and dual hydraulic brakes. Naturally, you could bid the price up higher with an autopilot, glass screens, and more... but why? The all-American designed and manufactured aircraft with 20 years of user history is all you need for a good time in the air. Much lamenting has been heard regarding the price of Light-Sport Aircraft. It isn’t hard to understand given prices that now exceed $140,000. Was such inflation supposed to happen? I’ve explained how this occurred, and the biggest culprit, by far, is the exchange rate difference between dollars and euros. (Other factors include the time value of money and the desire by many buyers to have high-end instrument panels and features.) *** For a time, we thought the low costs of labor in Eastern European countries would overwhelm Yankee producers… and for a time they did. However, RANS — one of America’s most successful kit suppliers (more than 4,000 delivered!) — is offering the S-6ELS at only $63,000. This equates to only $53,500 in 2004 dollars when the new rule came out, which was about the cost of a Flight Design CT at that time. *** The S-6ELS comes with the 80hp Rotax 912 and a decent analog panel in either trigear or taildragger configurations. As the dawn of the sport pilot rule changes approaches, Kansas-based RANS Inc. is one of the most successful kit aircraft manufacturers in the light aviation industry. Randy Schlitter, RANS’ boss and founder, is now a seasoned veteran of the kit airplane business. Over his years in business, he has created several popular aircraft designs that have found favor in the United States, Europe, and about 50 other countries around the globe. Of the broad RANS line, the one model that has most revved up buyers is the S-6S Coyote II. Despite competition from hundreds of other aircraft, the Coyote line has sold an impressive fleet of 1,500 aircraft. The single-place version, S-4/5, first flew 20 years ago and has also sold reasonably well, but it is the Coyote II that has become the single most successful RANS design. The two-place Coyote II is available in two models—the S6-S and the S-6ES. Both models offer side-by-side seating and a choice of tricycle or tailwheel landing gear, and both will accept engines in the 47- to 110-hp range. The S-6ES II, the second generation S- 6, was introduced in April 1990, with an extended wingspan over the original S-6, which was introduced in 1988. The ES model features ultralight-like Dacron covering and comes in three different wingspan options. S-6S II, dubbed the Super Six, was introduced in 1993 and features standard aircraft covering. While more labor intensive and heavier with the added weight of paint, the doped covers promise longer life and offer slicker surfaces than the Dacron (although Dacron treated with Mylar can be very competitive). It is this aircraft that’s captured the most attention. A Little Tweaking After two decades in the business, Randy is too savvy an aviation entrepreneur to radically overhaul the Coyote. In the traveling I am privileged to do, I see RANS Coyotes at many airports and airparks in many countries. I’ve also seen several copies of the design, a sure sign the aircraft is perceived to be what customers want. But, anyone who knows Randy knows he’s constantly refining his aircraft to improve the designs and increase his factory’s productivity. In his refinement of the S-6S, Randy altered the upper tail fuselage deck of the Coyote II. This had been a flat surface that Randy admits gave builders some challenges during assembly, especially in the jig building to ensure a square fit. As part of this modification, RANS also increased the S-6S II’s tail surface area. RANS also changed the Coyote II’s main aft fuselage so it is now a razorback, resembling its single-seat sibling, the S- 4/5, and giving it more flowing lines. Randy indicates this change, along with more pre-drilled junctions, makes it easier to jig accurately. RANS also cleaned up the Coyote II’s belly. The flat area under the cockpit transitions more smoothly to the tail cone, which improves airflow movement across the tail. Another popular feature for kit buyers is RANS’ folding-wing option. For about $500, an older Coyote II can be retrofit with the new option. The retrofit kit will include several new hardware parts that allow “one person to fold the wings in a matter of minutes,” according to RANS. Buyers of new kits can order folding wings as an optional accessory. No Wonder It’s Popular Before you enter the S-6S Coyote II, you’ll appreciate how the seats fold forward to give access to the cargo area. That space behind the seats can hold 50 pounds of gear, and it can be accessed while aloft. The cargo area is a fabric pouch running the width of the airplane, and it’s about 1-foot deep from front to rear, allowing some bulkier items to be carried with you. RANS also provides a compartment outside of the cabin that can accommodate up to 30 pounds of cargo. Its door is located directly aft of the cockpit. While the folding seats aid access to rear storage areas, easily moved seat cushions allow closer inspection of vital components like control linkages. About a decade ago, RANS invested in equipment to make molded plastic panels. Today’s Coyotes reflect extensive use of molded plastic interior panels. These smooth panels hide the guts of the airplane (cable or push/pull linkages, wires, and support members), creating a modern appearance, but sometimes they hide important parts from easy inspection. Sitting in the Coyote II, especially the taildragger version, most pilots will find forward visibility has been improved by the airplane’s flatter deck angle. I found flight visibility to be enhanced by the big door windows and the overhead skylight. With no detail left out of its continuous redesigning, RANS also changed ordinary components like rudder pedals. Newer Coyotes have a little angled portion at the base of the rudder pedals that allows your feet to sense position before operating the brakes. Since they now tilt forward like Cessna aircraft pedals— combined with a nosewheel-disconnect feature—I felt the rudder pedals were quite intuitive to operate in flight, though I found them on the stiff side while taxiing. Stable Flight Characteristics Despite the structural design changes, the S-6S II’s flight characteristics were largely left the same with only minor improvements. One of the most notable affects rudder control as mentioned above. All wheels had large fairings on them, and Randy reported getting the same cruise speed with 200 rpm less power, thanks partly to the wheelpants. Of course, correctly shaped fairings should help a plane slip through the air, but this result is diluted when a large nosewheel fairing turns sideways. This happens on many planes when the rudder pedals are employed to coordinate a turn. Now, like a few high-end general aviation airplanes, the S-6S does something about that sideways nosewheel fairing. The Coyote II’s nosewheel drops down on liftoff, and its fork centers itself in a cam that keeps the wheel pointing forward. When you work the rudder pedals in flight, the nosewheel and its fairing stay fixed. Consequently, the rudder pedal feel is better because you aren’t pushing harder to deflect the nosewheel with its large wheelpant. In the past, Schlitter says the tail had to work harder just to offset the turbulence created from the large, sideways wheelpant. Thus the enlarged tail area of the new Coyote can be employed to improve flight characteristics rather than simply offset the effect of the nosewheel fairing. On landing, the weight of the aircraft pushes the nosewheel fork back into the steering cam, giving the pilot nosewheel steering control again. Like the folding-wing option, RANS is also offering a retrofit kit for the dropdown nosewheel. The “Nosewheel Disconnect System” kit is available for about $200. Always Something New To be honest, I couldn’t tell much difference in control feel because of the larger tail surfaces. However, over many years and many pilot reports, I have become a supporter of large tails. Many designers feel you just about can’t have too large a tail. Airplanes with big tail feathers seem to be more stable and more controllable, a great combination any pilot can enjoy. Nonetheless, I really liked the nosewheel disconnect feature. I found the rudder pedals were rather stiff on the ground, but as soon as you lift off and the nosewheel slips down, the pedal pressure gets lighter, resulting in better overall coordination. The S-6S Coyote II, with standard wing, 1,010-pound gross weight, and 100-hp Rotax 912S engine, has lively speeds for takeoff and landing, just as we’ve found in European-built fiberglass light-sport aircraft (LSA). Seventy-five mph is a good speed for approach and takeoff, but you can slow down to 70 or even 65 mph, I found. Sixty mph is starting to get too slow. Many genuine ultralights use 50 mph for approach, and that number often has a generous margin of safety. The Coyote II’s numbers translate to longer approaches and longer ground rolls—which many LSA will exhibit—but these faster speeds are helpful in crosswinds when more speed and control are valuable. Higher speeds and the crisper controls that accompany faster speeds guarantee that the Coyote II has plenty of control authority. The Coyote’s faster speeds don’t hurt its overall performance, and those speeds are what many are waiting for in LSA. But the slightly lighter Coyote II has some advantages over heavier fiberglass LSAs with smaller wing areas. Randy says his Coyote II has a glide ratio of about 9-to-1, which can be crudely estimated by the amount of float in ground effect. Even with power at idle thrust from well out on approach, I floated well down the runway. Such an evaluation of glide angle isn’t scientific, but I did measure sink rate on several occasions, seeing 300 to 500-600 fpm with overall average as low as 400- 450 fpm. I found this a good improvement over several fiberglass LSAs that use heavier weights and smaller wings to assure faster cruise speeds. Randy recommended that I use two notches of flaps for normal takeoffs and landings, and indeed this produced good results. A third notch of flaps is available for use on the shortest or softest field, and it adds perceptibly to drag. Because of Randy’s advice, I never tried a takeoff or landing without flaps. Given the speeds of the Coyote II with flaps, I suspect speeds might rise unnecessarily high without flaps. Flaps change stall characteristics considerably, confirming their value. Stalls with no flaps had a pronounced though easily controlled drop of the nose. When two notches of flaps were added, the stalls became benign. Because you are advised to use two notches for takeoff or landing, the incidence of a departure or approach stall should pose few problems. Stalls fell modestly to one side or the other, but none was consistent, and the problem raised by this is minor. Leaving Well Enough Alone The venerable S-6S Coyote II has long enjoyed market success, and it became a major influence on light aviation when the two-seater complemented the older and onetime Part 103-eligible single-seat Coyote S-4/5. Outside of the United States, the S-6 Coyote II line is likely the most popular light plane in the world, while Van’s RV series of aircraft obviously captures that title in the United States. As we see more and more fiberglass LSAs from abroad, it is obvious that Coyote —without changing what it is today—will continue to have great appeal. If you have a pilot certificate and valid medical, you have no reason to wait for the SP/LSA rule changes to become law before you start building or flying. Even given the refinements mentioned in this article, RANS mostly left well enough alone with its highly successful Coyote II series. Under the 51-percent rule, Randy and the rest of his company’s engineers can continue to tweak Coyote to make it even better…and the same will be possible under LSA rules as long as the developer tests to industry standards and employs accepted quality control procedures. The complications and costs associated with making changes to Part 23-certificated aircraft won’t apply to LSA. While we await LSA, RANS remains a major veteran player in the light aircraft industry because models like Coyote II and its regular improvements still have enormous appeal. Whether the company jumps on the LSA bandwagon or not, Randy Schlitter and his Kansas staff still have plenty of tricks up their sleeve. Their quick-build kits are some of the most refined in the industry while still being completely 51-percent compliant. As Randy says, “Customers have given us their wish list for quick-build kits, and we’ve tried to give them what they want while still being legal. Our ‘12 Easy Pieces’ kit for the S-6S is a great example. The kit actually has only 12 major pieces that need to be assembled, yet by the time the builder does all the assembly and connections, it still meets the 51- percent rule. We feel a responsibility to protect our privilege to build light aircraft, so we work hard to keep our kits compliant.” The S-6 Coyote II series is priced well below $30,000 even with the Rotax 912 and other desirable equipment. At half the price of last month’s CT2K—and many other fiberglass creations like it— Coyote II is sure to continue to make sales. And buyers like you can go ahead and purchase today, building under the 51-percent rule and flying with your FAA certificate and medical. When the sport pilot rule changes are final, you can choose to fly under the provisions of that new pilot certificate with no change to your aircraft’s certification status or its maintenance requirements. That’s the best of both worlds. Notes: * Variable figures based on use of 80- or 100- hp Rotax 912/912S engine. ** RANS also offers a 116-square-foot wing that changes speeds and climb rates. With a gross weight of 1,200 pounds and cruise speeds of 105/110 mph, this model may also meet light-sport aircraft requirements. As the dawn of the sport pilot rule changes approaches, Kansas-based RANS Inc. is one of the most successful kit aircraft manufacturers in the light aviation industry. Randy Schlitter, RANS’ boss and founder, is now a seasoned veteran of the kit airplane business. Over his years in business, he has created several popular aircraft designs that have found favor in the United States, Europe, and about 50 other countries around the globe. Of the broad RANS line, the one model that has most revved up buyers is the S-6S Coyote II. Despite competition from hundreds of other aircraft, the Coyote line has sold an impressive fleet of 1,500 aircraft. The single-place version, S-4/5, first flew 20 years ago and has also sold reasonably well, but it is the Coyote II that has become the single most successful RANS design. The two-place Coyote II is available in two models—the S6-S and the S-6ES.